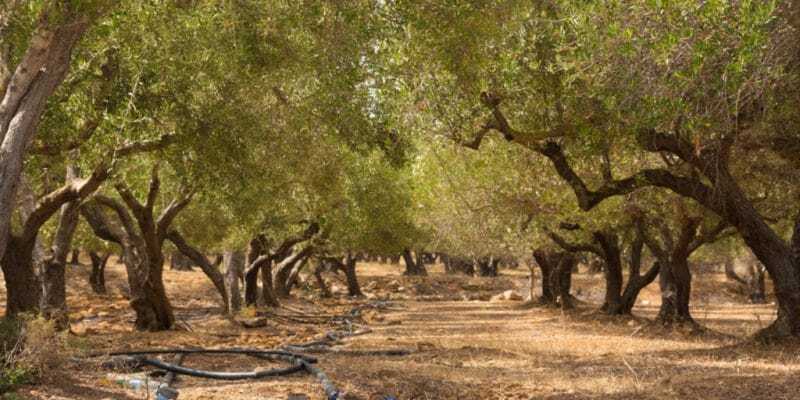 The irrigation system, on which the start-up iFarming has added a layer of artificial intelligence, allows Slim Fendri to optimise the irrigation of its olive plantations on its estate in Tunisia. Ultimately, it is all about boosting olive oil production, while saving water. Since 2017, Tunisia beats all the records in the world in terms of olive oil production. By the end of the 2016-2017 season, the country has even become the second olive oil producer in the world, just behind Spain with 1.8 million hectares with no less than 86 million olive trees. According to Choukri Bayoudh, the director of the National Oil Office in Tunisia (ONH), the country expects olive oil production to increase by 20 to 30% during the 2017-2018 season. The country’s ambition is to double its production in the coming years. To achieve this objective, Tunisia relies on artificial intelligence to improve its irrigation techniques. It is in this spirit that Slim Fendri, an organic olive oil producer, puts at the service of his olive trees a new technique that combines irrigation and artificial intelligence. Concretely, in the middle of its plantations, we find a station connected and linked to several sensors placed on the ground, in the air and even on the leaves of olive trees. Slim Fendri has been testing this new technology since May. The purpose of the sensors is simple: to know the moisture content in the tree environment, the air temperature measures the wind speed and the sap tension in the olive leaves. All these factors influence the production of the fruit needed to make the oil. The data are taken continuously and then analysed by an algorithm that determines the exact needs of the plant at a specific time of day. The algorithm used in Slim Fendri’s plantations was provided by the start-up iFarming which works on the application of artificial intelligence in agriculture in Tunisia. Samir Chabil and Rabeb Fersi, the two co-founders of the start-up, affirm that their algorithm allows farmers to save at least 40% of the water (used for irrigation), a resource sometimes very scarce in certain regions of the Maghreb. These startupers also note that agriculture consumes 70% of the world’s fresh water. Sometimes 60% of this resource is wasted causing lack of information about the plant’s (water) needs. This new agricultural technology will certainly boost olive oil production at Slim Fendri, which stands out for its know-how. His work has already won awards worldwide (thanks to the application of new technologies in the olive oil production process). In 2016, the estate Fendri (property Slim Fendri) won the gold medal for the best organic olive oil in Bari, Italy. In Los Angeles, United States, on April 4 of the same year, he received the bronze medal at the international competition “Extra virgin Oil” (a competition that awards the best organic olive oil producers in the world, editor’s note). The olive oil produced by Slim Fendri is sold in luxury grocery stores like Harrods in London, UK.